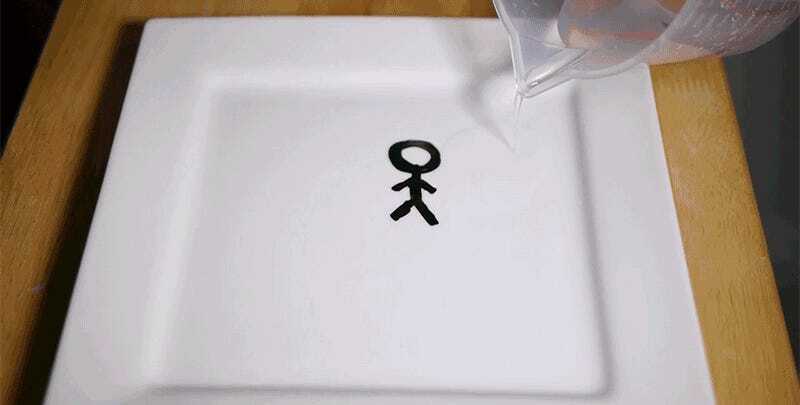 A few weeks ago, the internet was wowed by a video of a magic marker stick figure doodle that appeared to magically come to life with a little water. Many assumed there were some unseen shenanigans that made the stick figure leap off the table, but as Steve Mould explains, it’s all due to the simple science of erasable markers. Permanent indelible markers, like the kind that Sharpie makes, rely on inks with a strong adhesive to stick to almost any surface you write on. But dry erase markers use inks with a minimal adhesive, making notes and drawings that can be easily wiped away afterwards. According to Mould, the ink in dry erase markers is also insoluble. 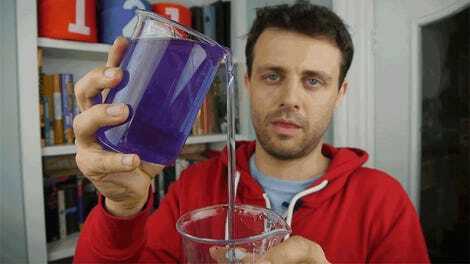 That means it can’t be dissolved in a liquid, and more importantly, it means it’s less dense than water. When you pour water onto a dry erase stick figure doodled on a smooth surface, a strong buoyancy force overcomes the stickiness of the ink, pulling the doodle off the surface and causing it to not-so-magically float on the water. 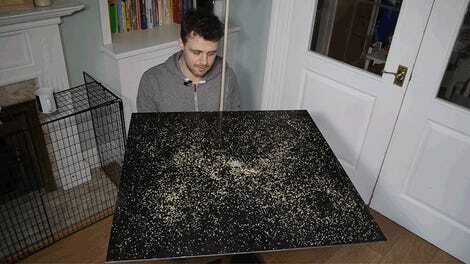 Does knowing how this trick works make it seem any less amazing? Thankfully not. And there’s no reason you have to show this explainer to your friends before you make a doodle magically float away.